I was in Pusan, South Korea in August 2013 for the quadrennial meeting of the International Union for the Scientific Study of Population. 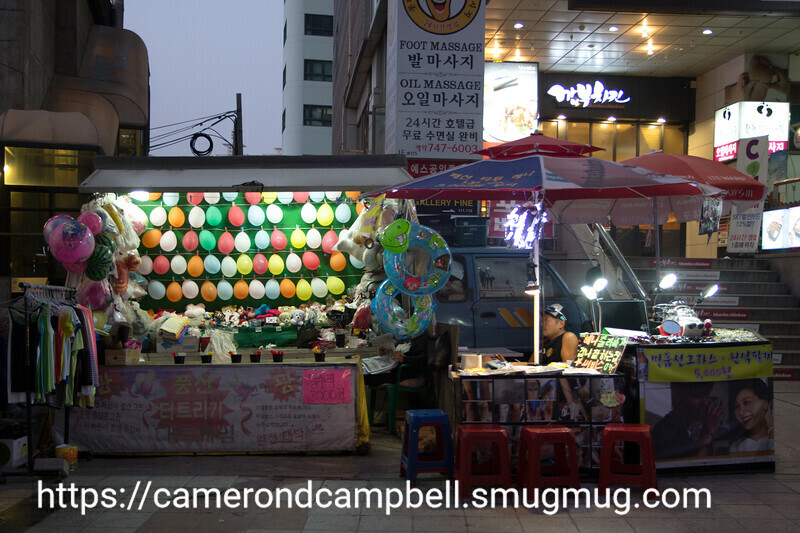 I had a few occasions to get out during the evening to take some pictures, mostly in the area around my hotel in Pusan, near Haeundae Beach. I had a Canon M with updated firmware, and my trusty EF-S 17-55 f2.8 IS which is now more than ten years old.